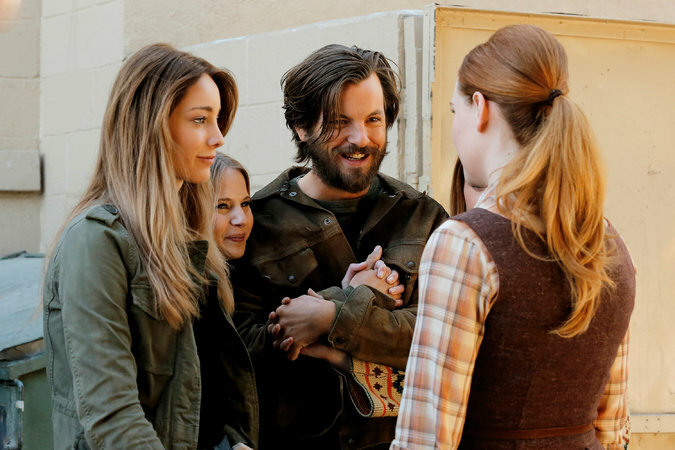 Late in Season 1 of NBC’s “Aquarius,” the character of Charles Manson is confronted by his mother, who gave birth to him at 16 and abandoned him when he reached adolescence. Despite his anger and resentment, this Manson cowers in her presence and reveals a vulnerable streak at odds with the public image of him as evil incarnate. This scene raises the question of what might have been had this man not been cast off at such a young age and had not spent more than half his life in prison, even before the heinous Tate-LaBianca murders sealed his infamy. “Just villains are boring,” the “Aquarius” creator John McNamara said. “We live in a culture that really uses villains the way bowling uses 10 pins — to just knock them down and do it again.” Like a recurring nightmare, the menace of Charles Manson continues to both haunt and fascinate us. The man who in 1969 orchestrated killings in Southern California, including the murder of the pregnant actress Sharon Tate, has inspired a spate of recent and forthcoming independent features and television projects. (Mr. Manson remains in prison.) And the focus seems to be shifting to his female disciples — known as the Manson family — with women handling the directing reins. Amid the competition, two projects have been shelved: a limited series for Fox from Brett Easton Ellis and the horror meister Rob Zombie, and a planned biopic with James Franco as another Manson victim, Jay Sebring, a hairstylist to the stars. Whether there is an audience demand for new interpretations of the Manson phenomenon is open to question. “Manson’s Lost Girls” — told from the point of view of Linda Kasabian, a follower turned prosecution witness — attracted about 1.8 million viewers over two broadcasts. The ratings were slightly above average for Lifetime’s Saturday night movie slot. “Manson Family Vacation,” a half-cheeky, half-serious look at two brothers (played by Linas Phillips and Jay Duplass) who bond by touring the Manson murder sites, was released on Netflix and iTunes in the fall after making the rounds on the festival circuit. Recent developments have further fueled interest. The identification in April of the body of a young Canadian woman who was found in 1969 near the site of two of the Manson family killings has led to speculation that she was another victim. That same month, parole was recommended for the convicted murderer and Manson disciple Leslie Van Houten. This is not the first time the Manson family has been appropriated by pop culture. “Helter Skelter: The True Story of the Manson Murders,” written by the prosecutor Vincent Bugliosi and Curt Gentry, was published in 1974 and became the definitive book on the murders. 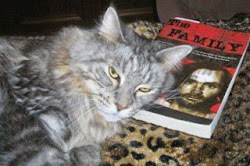 Countless books and several films about the Manson family and its crimes (including two television versions of “Helter Skelter”) have since fed the public’s appetite for the subject. Over 12 episodes last summer, “Charles Manson’s Hollywood,” a series in Karina Longworth’s podcast “You Must Remember This,” explored Mr. Manson’s complex relationship with entertainment figures and his obsession with fame. She said she was fascinated by the climate of paranoia that enveloped Hollywood after the murders, and how that affected cinema. “The Family,” which is scheduled to start shooting in early fall, centers on three women who were tried with Mr. Manson: Ms. Van Houten, Susan Atkins and Patricia Krenwinkel. The film is based on two books, “The Family” by Ed Sanders and “The Long Prison Journey of Leslie Van Houten” by Karlene Faith. Mr. Rosen, the producer, called it “the needle in the haystack” that led to a new perspective on the subject. Ms. Faith was “the prison-appointed social worker who actually deprogrammed the women and still maintains a strong relationship with them,” Mr. Rosen said. Ms. Lo, whose film is in preproduction with shooting delayed by financial setbacks, said she found parallels to today’s societal ills, from teenagers who commit mass gun violence to young women who join ISIS. She noted that Manson’s women were abused or felt alienated from their families. “The more educated ones, Sandra Good and ‘Squeaky’ Fromme, just didn’t care for their parents and the type of life they were growing up in,” she added. Viewers will decide how much Manson and his deeds are relevant today. Of all these projects going forward, Mr. Rosen said, “They’re going to live and die by the originality — something that will allow people to have some kind of closure or understanding instead of the expected.” Correction: June 6, 2016 Because of an editing error, an earlier version of this article misstated the title of Karina Longworth’s podcast about Hollywood. It is “You Must Remember This,” not “Charles Manson’s Hollywood.” The latter was the name of a 12-part series on the podcast. Aquarius picks up next in January 1968, 18 months before the murders. This was the time when hanging out with the Manson Family was fun. The Simon Wells book went a long way for me to understand that the lifestyle of living in SoCal with an up and coming musician was probably actually pretty great. Sure Charlie has always been a gangster, but this was before the drug burns and creepy crawls and violence and such, with Charlie looking forward to making it big. I wonder if Aquarius will portray it like that? I have my doubts. Thanks Starship. I haven't watched Aquarius. I forgot about it. How accurate is the Simon Wells book in your opinion? I just read it for the first time this weekend. It seemed to have lots of details that I haven't come across yet, but it also had so many obvious mistakes that I question the book's entire credibility. Look at that guy playing Charlie. He's much taller and much better looking than Charlie is. Hollywood movies don't show reality, they present tall, good looking people with good teeth. Of course, you could put a humped-back flat-footed 15-toed & fingered buck-toothed drooling midget on that show that was better looking than Charlie. HA HA. It's funny how they pick out good looking people to play these Manson characters, which is far from the truth. If I were Pat, I would choose Megan Fox to play me. If you've gotta crash and burn, you might as well leave a false legacy and hopeless sense of dignity. The casting of Tex is off, too. I remember being struck that Wells did paint the picture that for a while there it probably actually was a pretty good time hanging with Charlie and girls, but then after the White Album came out and Charlie's music career was going nowhere, things went downhill pretty steep as well. I am stickler for the facts but as to accuracy I am sad to say that unfortunately EVERY book published in this case has mistakes in it so if you're going to hold it against Wells than you'll have to hold it against all the others as well. So if your standards as to credibility are high, then you'll often be disappointed, just as I have been.